First things first: Where are people going to find you online? As a writer, you are your brand, so we recommend using some variation of your name. To check availability, simply visit Bluehost and click on “new domain.” Or, search this handy domain-name checker! I would add one more step: Get a fresh pair of eyes to look at every single post before it goes live. Build that stage into your blogging schedule, so it doesn’t put you behind your self-imposed deadlines. Remember, your blog is a collection of online writing samples that may get you work, or keep you from getting work. A simple typo on the worldwide web can make you seem unskilled and unprofessional. It may not seem fair, but in a competitive market, it’s just how it is. As a professional editor, I would love to say that you always need to hire an editor to check every post (frankly, I would love to say that you always need to hire ME), but I must admit that’s not necessarily the case. You may, for example, be able to arrange a barter with a fellow-blogger to email your posts to one another before rolling them out for your respective audiences. However, keep in mind that not every writer has an eye for detail in another’s work. A professional editor is worth at least considering. Though I can only really speak for myself, I believe most editors would be open to negotiating an affordable arrangement in return for predictable work. (Like writers, we tend to face a feast-to-famine schedule.) If the first editor you contact is not interested, you can always try another. I wish you all success with your blogs! Thanks for your input, Trish! I’ve never thought about getting my personal blog posts professionally edited, but you’re right: your blog is essentially an online portfolio. I like the idea of partnering with another writer to review each other’s posts! You’re welcome, Susan! If the right people pair up, it would be a great way to interact with a fellow-writer and help each other make those online portfolios the best they can be. Of course, do keep in mind that writing and editing are different gifts, and not everyone has both. A writer who isn’t a natural editor may need to be resigned to paying several dollars per post, rather than bartering. For people in that situation, I am considering offering “blog post critiques” in my Etsy shop, but I would also be happy to negotiate terms directly through my own website. Again, I can’t speak to what other editors might be open to doing, but I think if there’s an editor you think you might like, it’s worth contacting them to see if they would be open to working on very short but regularly scheduled pieces. Best of luck on all your blogs! The more I thought about this post, the more strongly I felt that bloggers should have an easy option for getting the “fresh eyes” I was talking about, even if they don’t happen to have a ready connection with a fellow-blogger or a professional editor. I decided that the idea of putting something on my Etsy shop would give people a simple way to do it. I hope no one minds my posting it here. By all means, if you can barter with someone to swap posts, that’s a great way to go! You’re welcome, Sara — I found your portfolio very inspiring! Great points, Dena! I haven’t tried Wix or Squarespace but have heard good things — especially about the latter. Wix is a lot easier to use than WordPress, in my opinion. Especially for the less web-tech folks out there. Less hosting options though, as WordPress can be migrated or hosted elsewhere, and Wix discourages that quite severely, but as long as you don’t mind them hosting, it’s the easiest platform I’ve seen to use and customize. My current site was done thru Wix. Fabulous post – I am loving all the examples . Nothing helps me better than SEEING successful blogs. Yay! So glad it was helpful, Kit! Thanks for the helpful article and great links. Great work! This is a fabulous article for anyone wanting to start a blog. The advice holds true for any niche – not just writer blogs. I’m a freelance writer who started a pet guide blog a few months ago. I didn’t expect to be bombarded with traffic right away, but I also didn’t realize the amount of time it takes to market a new blog and gain a reader following. I’m struggling to get my content seen but hanging in there! Very helpful!! I will be bookmarking and sharing this info! I loved this article!I just started my blog in June 2015. I’ve been getting good traffic.I’ts basically a blog full of writing. Straight and to the point! I don’t want my reader’s to get bored. I’m thinking about adding pictures of myself?Or pictures of reader’s from different parts of the world. I think this would be a way to show the different nationalities reading my blog and help with the excitement.Check out my blog! I have to take issue with the use of WordPress. I code my own website, but I can’t figure out WordPress to save my life! it’s way too cumbersome and not intuitive at all. I recommend Blogger all the way. Or, if you want a more functional website, try Wix.com, which has its own blog app. Wix.com has to be the easest way to create a website/blog out there! If I hadn’t spent hours upon hours coding my own website, I’d be using Wix. Thanks for the tip. I’ve just started using Wix and like it, too, but after reading about WordPress, I thought I’d made a poor choice. Glad to know I didn’t! Hi Sherri, I taught myself HTML back in the mid 1990s and started working with content management systems in the early 2000s and I’ve worked with Drupal, Joomla! Interspire Website Publisher, Bigcommerce, and other platforms. They all have their pros and cons. Some are geared towards developers and others towards non technical users. I have developed about 15 websites now with WordPress and it’s a very good platform especially for adding features inside of WordPress. I do miss going right into a template file and tinkering with the code, but these days it’s more important that my websites be responsive first and foremost, so I’ve had to give up some control. I rely more now on the support of the theme or plugin provider to help with code tweaks, so I have to be more careful about what plugins I use. Is WordPress the best platform? It depends on the user. I like there being thousands of plugins, even if half of them are not supported regularly–it sure beats the old days iframing in scripts that look nothing like the website. Very helpful and inspiring! Thank you. Great article! I’ll be bookmarking for future reference. This is excellent help. Thank you Susan. Okay. Your post has officially inspired me to – finally – end my procrastination and begin my baby-steps into the vast (and slightly scary) world of blogging. 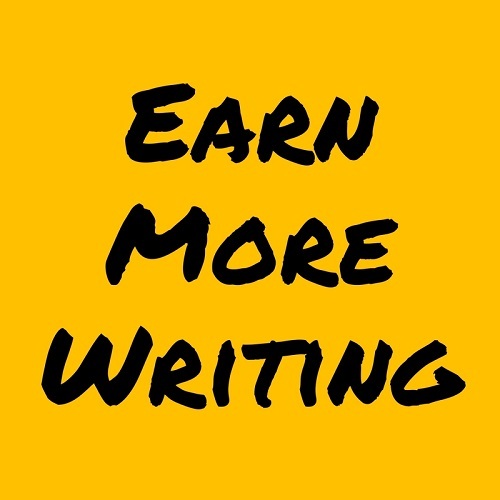 Thanks for taking the time to provide the thorough and necessary pieces of the process which, for extreme newbies like me, is priceless, time-saving and definitely helpful in keeping me focused on building toward my ultimate goal of becoming a (hopefully) successful writer. Thankfully, I am familiar with most-things-techie so am not intimidated in the least by the technical process and have been reading several other blog posts regarding best design/domain/hosting sites (my personal favorite is WordPress for the design piece and BlueHost seems perfect for my hosting needs at this time). Your advice on creating an editorial calendar is brilliant (at least for the procrastinator in me), along with best practices for promoting my blog — especially suggesting stepping into others’ successful blogs and becoming a host blogger. Goodness! There seems so much to think about doesn’t there? I’d certainly be curious to know how you finally took the plunge to begin your blog and, as you so aptly asked of us readers, “What stood in your way until now?”. Thanks so much again for inspiring me — I’ve already saved this page in my Bookmarks as a favorite go-to reference to keep me focused and empowered with the knowledge that, with the right tools, time and determination, I can (and will!) be a successful blogger. So i need to open a blog site to create article or i can writ one and publish it in different blog ? Although it is possible to write an occasional guest post on someone else’s blog, this article is about starting a blog of your own. I’ve just started my blog ‘The Two-Wheeled Writer’ at http://www.heather-ellis.com. In these early days, it details my journey to published author. My travel memoir, Ubuntu: A Search By Motorcycle Through Africa, will be published by Black Inc. Books in April 2016. I’m sorry you had a bad experience. Please trust that the products we recommend are those that we use ourselves or have reviewed thoroughly! I can see the clearing, especially now that I’ve stepped into to the present with my new Mac vs. my ’04 desktop using Windows XP. Like Dianne, I have 30+ years of wearing so MANY hats (data entry, admin. asst., accounting asst., etc.) while supplementing real estate. I’ve been writing poetry since the early 90’s along with entries here and there to my upcoming book. It’s all been sitting in the archives while I’ve been caught up in life struggles and “paper mills” trying to fit in as a subcontractor. I’ve written SEO articles and papers for students since ’08. I knew of WordPress but am more interested in setting up my own website with the intent to offer Ayurvedic and natural products along with holistic and other information via articles and links. I initiated a trial through Squarespace after researching some of the best DIY website options. As several have mentioned I’ve bookmarked this article, for my confidence leaped into second gear after reading it. Even the comments were full of fantastic advice and feedback! It’s been a few months waiting to afford my Mac since initiating my trial on Squarespace, but isn’t there a blogging option offered through Squarespace that I can link or include on my website? Again, I am very grateful for this article and those who added a chock full of additional info. This seems so complicated. Is it really? Thanks for your step by step guide into blogging. How can you make money by this blogging? This is so helpful! I didn’t even know what questions to ask, and you’ve posed/answered the questions for me. Outstanding guidance and resources! Thank you!